We have an exciting and unique opportunity for a passionate, inspirational and dedicated colleague to join our supportive and forward thinking Mathematics department. 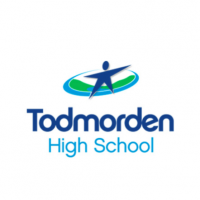 Todmorden High School is looking to recruit a practitioner who has excellent subject knowledge, a passion for Mathematics and who is keen to join our teams to teaching our phenomenal students. This position would equally suit either a newly qualified colleague or a more experienced teacher looking for a new challenge. To ensure the effective learning of all students across the ability and age range whilst in the charge of the teacher. To structure the learning of students by planning and delivering good lessons. To promote and be accountable for high standards of achievement. To shape teaching and learning within your subject areas in order to establish a drive to raise standards of teaching, achievement and continuing professional development. Our positions are paid on the Teachers’ Main Scale or Upper Pay Scale dependant on where you are in your career, there is the possibility of a Recruitment and Retention or Teaching and Learning points for outstanding applicants. ‘The Headteacher and other Leaders, including Governors, are determined to provide the best possible education for pupils’. ‘Leaders seek out best practice from other schools and Advisers, and are keen to provide the best care possible’. This is an ideal opportunity for candidates looking to start their career in exclusion provision or potentially teaching. We are seeking to appoint an outstanding, well-motivated, enthusiastic and ambitious primary school teacher to work in our secondary school. This is an exciting opportunity for a Science Teacher to expand in leadership experience across a wider school system as a member of SLT. Superb location and benefits. Explore more..
We are an Aspirational, Inspirational and Remarkable school.